Shift 2.2.3 for Mac OS X, Windows, and Linux is now available. Download the updated version here. 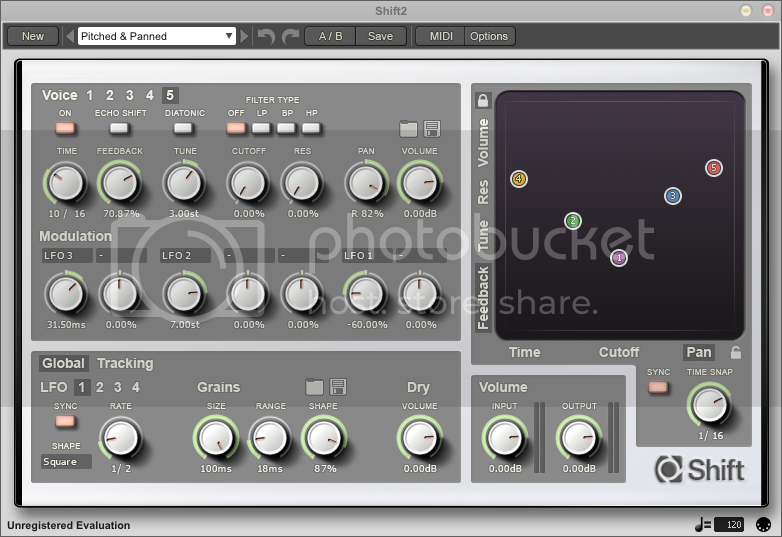 Shift is a diatonic granular pitch shifting delay. Shift combines an intuitive and beautiful user interface, with a great sounding granular synthesis engine. Shift's flexibility allows a palette of timbres ranging from basic echo effects, through intelligent harmonies, to exotic evolving ambient soundscapes. Fixed incredibly rare crash which may occur when first opening the plug-in on certain 32-bit VST Windows hosts. Admittedly a minor update, but certainly worth a download for anyone who has fallen foul to the, now fixed, start-up crash bug.